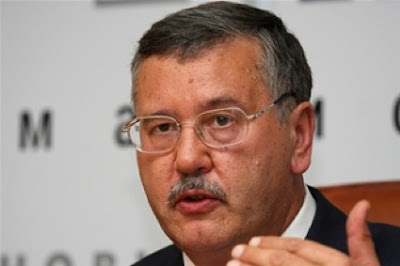 KIEV, Ukraine -- Head of the Verkhovna Rada Committee on National Security and Defense and former Defense Minister Anatoly Hrytsenko has said that the situation in the Democratic Republic of the Congo is dangerous for the lives of Ukrainian peacekeepers. "The fact that the situation in DR Congo is dangerous to life and health of our soldiers was clear even then, when they decided to send the peacekeeping contingent," he said in an interview with Interfax-Ukraine commenting on the attack on the Ukrainian helicopter in this the country. Hrytsenko recalled that the national security and defense committee of Verkhovna Rada did not recommend the Ukrainian president sending peacekeepers to the Democratic Republic of the Congo. However most lawmakers voted for this decision anyway and Ukrainian troops joined the peacekeeping mission in that country. As reported, the Ukrainian Defense Ministry's Mikoyan Mi-24 helicopter from the 18th Separate Helicopter Squad of the Ukrainian Armed Forces of the United Nations mission was attacked in DR Congo on March 21. As a result of the shooting and interpreter sustained a gunshot wound in the leg. He was urgently taken to the military hospital of the Indian peacekeeping forces, where he underwent a surgery. The injured peacekeeper is said to be in a stable condition, the Defense Ministry said. On December 22, 2011, Verkhovna Rada approved the president's decision to send Ukrainian peacekeepers as part of the UN mission to stabilize the situation in the Democratic Republic of Congo. The document stipulated 200 Ukrainian troops. The expenses relating to the Ukrainian peacekeepers' participation in the stabilization of Congo are covered by the Ukrainian state budget and further compensated by the UN. Currently, Ukraine has deployed 157 peacekeepers and four Mi-24 helicopters as part of the UN mission in Congo.